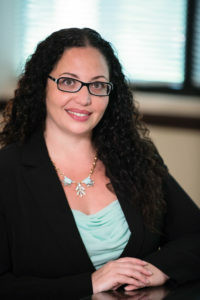 Florida Motorcycle Accident Trends – Diana I. Castrillon, P.A. Traffic fatalities in Florida dropped 14 percent in 2009 (2010 reports are not yet out) and motorcycle fatalities fell an even greater 24 percent! Those figures are the lowest on record and culminate 4 years in a row of decreases. Of course, statistics aren’t people and any fatalities at all are tragic occurrences. Let’s look at some trends in motorcycle use and practices in Florida to shed some light on how these results are being achieved and how they might continue to improve. There were 14,983,437 registered vehicles in Florida in 2009. Of those vehicles, just over 6 percent, or approximately 929,000, were motorcycles. Motorcycle use in Florida has increased steadily since 1997 along with the growth of the baby boomer population. As the economy took a dive and population decreased in 2009 for the first time since World War II, one might expect motorcycle use to do the same. This was not the case. Motorcyclists grow by 2 percent over the previous year. In a place where warm weather, beautiful scenery and glorious sunshine are prime draws for visitors and residents alike, it’s not surprising for people to enjoy these attributes on a motorcycle. Florida repealed it’s helmet law requiring all riders to wear helmets in 2000. Currently, anyone 21 or older may ride without a helmet as long as they have at least $10,000 of medical insurance benefits to cover injuries incurred while operating a motorcycle. After the repeal, Florida motorcycle accident fatalities steadily increased through 2003. Though that trend is changing, the percentage of motorcycle accidents compared to all accidents has gone up in recent years; peaking at 17.8 percent in 2008. The year 2009 showed a drop to 15.7, most likely due to a Motorcycle Safety Coalition being implemented in July, 2008 along with new rider training requirements. These new factors should help continue the decrease. Interestingly, riders injured and killed in motorcycle crashes are not in the same younger age group which accounts for the most car crashes. More motorcyclists aged 45 – 54 were injured and killed in 2009 than any other age group. Though Florida is a popular tourist destination and hosts a number of motorcycle events such as Bike Week in Daytona Beach and Thunder Beach Motorcycle Rally in Panama City, just under 90 percent of motorbike injuries and 94 percent of fatalities are residents, not visitors. One of the best way to make roadways safer for motorcyclists in Florida is for the riders themselves to drive defensively. Motorcycles are easily lost in cars’ blind spots. Most of all, since 40 percent of riders killed in motorcycle accidents are not wearing helmets, wearing a helmet can significantly reduce the chances of being killed in a motorcycle crash. Contact the Injury Law Clinic today to speak to a Miramar Florida injury attorney.